Goche tosses Noel at Dogranio’s feet. Dogranio makes Noel bleed and mentions he looks no different from humans now. Noel wants to know why Dogranio killed Arsene Lupin and stole Collection Pieces. Dogranio says he just felt like it. Noel is incensed, but Goche zaps him unconscious. Dogranio suggests they put on a show for Noel’s death. Meanwhile, the Lups are thinking about their next moves now that the Pats seem to know their identities. Tooma suggests they leave, but Umika has grown to really like Jurer like her home. She wishes they will continue to work here and have the Pats are regular customers. Just then, Good Striker flies in to tell them Goche is going to open up Noel’s body on live television. 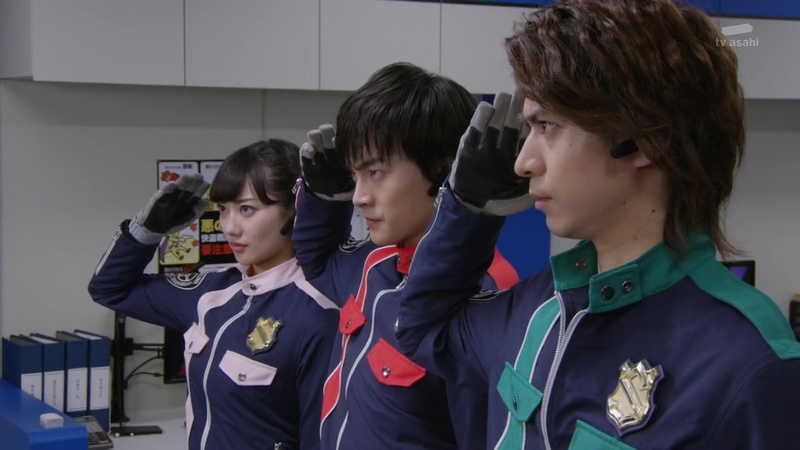 At the GSPO, the Pats try to process Noel not being human and whether or not Kairi and the others already knew. 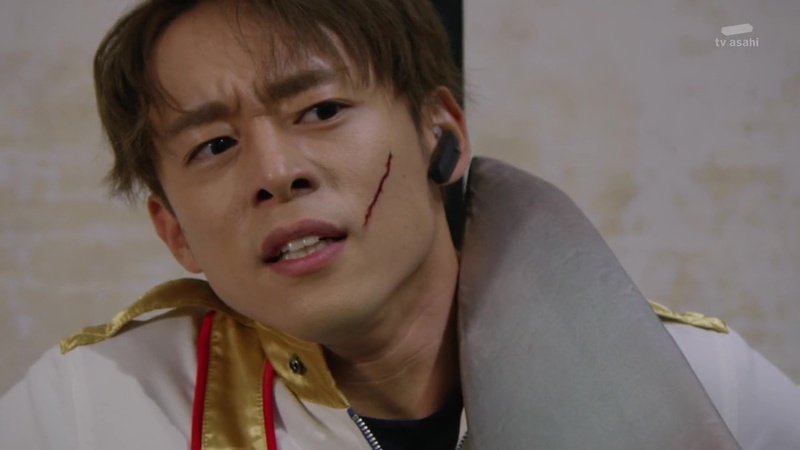 Keiichiro says Noel risked his life to protect the people using the Collection Pieces he gathered, so it is only right they rescue him. Jim Carter starts looking for a way into the underworld, but Goche suddenly begins broadcasting across Japan announcing Noel’s live dissection and execution. Kogure tells the Lups that they don’t need to go save Noel since all his Collection Pieces are with the Pats anyway. 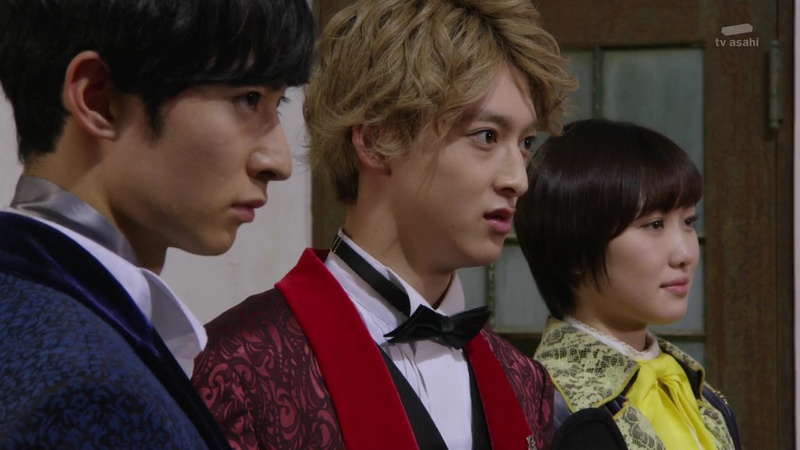 Good Striker can’t believe Kogure, but he says this is likely a trap and Noel was all ready to risk his life to save Arsene Lupin. The Pats decide to take this opportunity to save Noel, even if it really is a trap. The Lups also decide to go anyway, to save Noel and retrieve Goche’s Collection Pieces. The Pats arrive at the water treatment plant where Dogranio and Goche are holding Noel. 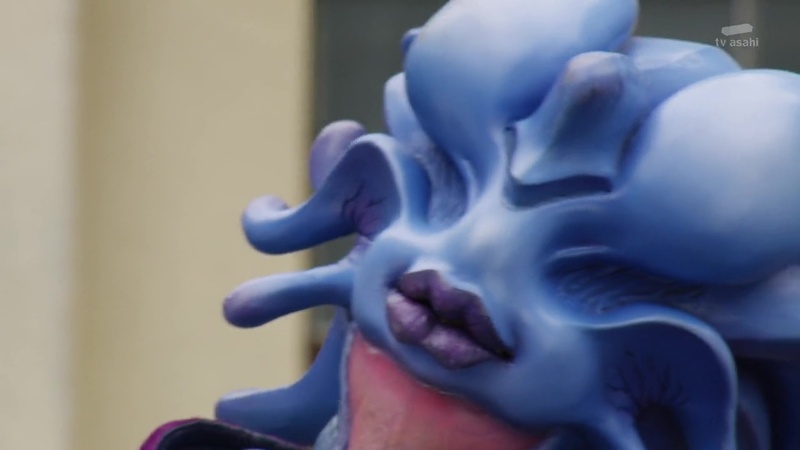 They morph and easily take care of Podamans, despite Noel telling them to leave as it is too dangerous. Goche then takes on the Pats herself. She sends them flying and forces them to demorph. She approaches Noel, ready play with his body. Dogranio enjoys the show while sipping his wine. Goche gets ready to slice Noel open, but the Lups arrive and shoot at her before she can cut. Dogranio is happy to see the Lups, but he wants them to expose themselves to the world. Dogranio says he will release Noel if the Lups can defeat Goche, unmasked. Noel pleads with them not to do that saying what is most important is for them to collect all the Pieces. Umika thinks about her friend and nods to Kairi and Tooma. They’re going to do this. The Pats watch as the Lups defiantly remove their hats and masks to reveal their faces to the world. Sakuya cannot believe it. Noel is speechless. Kogure falls back in his chair. Goche says she was fine with just cutting up Noel’s beautiful body, but she’s looking forward to playing with the Lups too. They battle. Good Striker flies in to signal to the Pats. They go Ugou, enabling them to absorb Dogranio’s shot. Sakuya and Tsukasa are able to save Noel. Dogranio is amused. Goche summons another Gangler to help her against the Lups. Dogranio mocks Goche and says he wanted to see her fight on her own merits. He then unlocks her and the Gangler’s safe and takes all their Pieces. The Lups shoot at Goche and they run outside to meet the Pats and Noel. Noel apologizes. But Kairi says he just owes them one now. Umika approaches Sakuya. 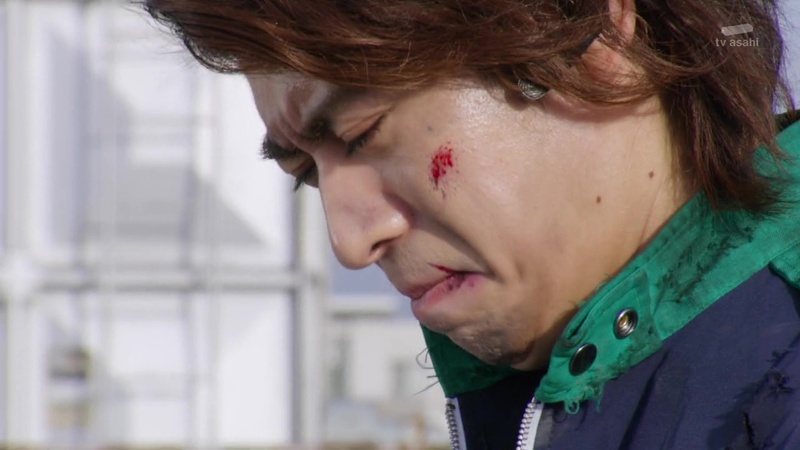 Seeing Sakuya uncomfortable, Tsukasa tells everyone to focus on the Ganglers for now. 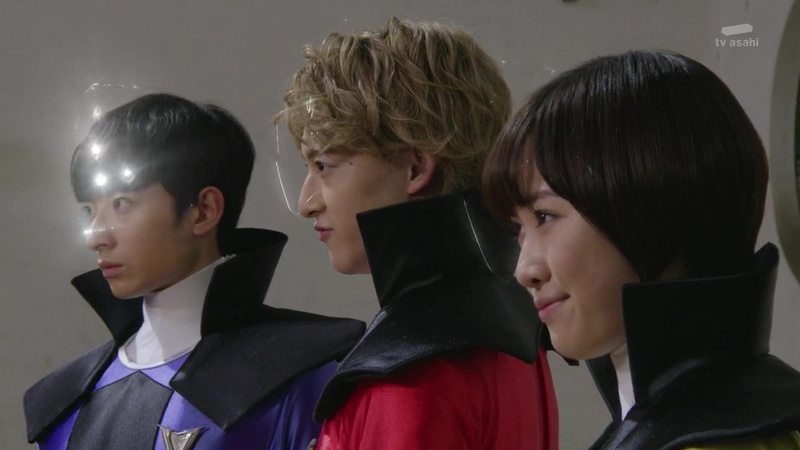 Noel morphs and Keiichiro asks for the Lups’ help this time. Together, the LuPats deliver Super x3 Strikes at both Goche and her Gangler. The Gangler is dead, but Goche is still alive. She uses her last bit of life to remove one of her own gold safes to transplant onto the Gangler. Goche says this is her final experiment and she explodes. The Gangler embiggens. 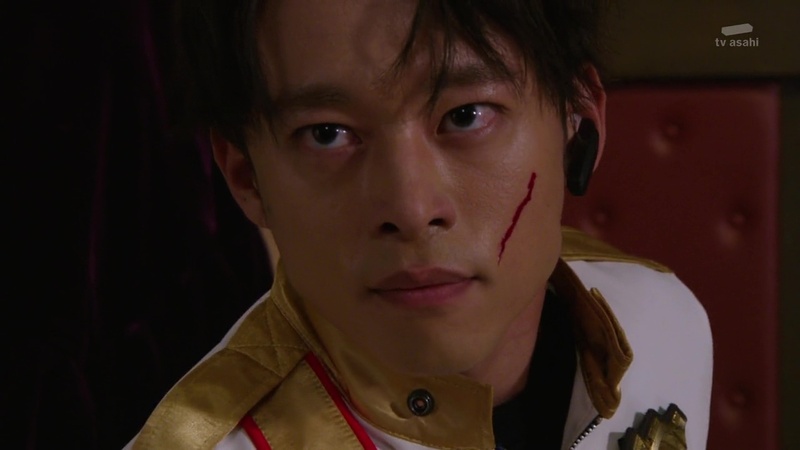 Keiichiro is too weak to hop into a mecha. Umika approaches Sakuya again and says to leave this to them. Without saying a word, Sakuya hands Umika the Cyclone Dial Fighter. The Lups hop into all the mecha they can and the Pats help from the ground. With a Good Striker Knock Down Kick, the Lups finish off the Gangler for good. Good Striker asks what the Lups will be doing now. They decide it’s time to find a new hiding place. They leave. Hmm… interesting episode. I know it’s supposed to be some big climax kind of episode. But I was actually really underwhelmed by it. First of all, I didn’t feel any imminent danger with Noel since of course he was going to be saved. But then that really didn’t matter since the episode was really just for the supposedly big reveal of the kaitous’ true identities (to the Pats, at least). And for that, I didn’t feel any tension in revelation of the kaitous’ identities. I really would’ve preferred seeing them in a shock reveal to the Pats. Here instead, the Pats already knew. But there’s really no other way for the big reveal to happen, especially this late in the season. If it was earlier, a nice cracked helmet shock reveal would’ve been exciting. Also, this was such an unceremonious end to Goche. Another poor send-off for a female right hand of a Big Bad. She was a depraved mad scientist all season, ready and willing to cut open anything for her amusement. Yet, here she was treated as a mere monster of the week. So overall, I was unimpressed by this episode. And that’s sad. I wanted to be affected by it, moved, excited. But I really wasn’t. Even more disappointing after last week’s episode which was pretty good. Here’s hoping the last three episodes are much better. And for me, it was very thrilling episode! When Lups removed their hats and masks, I was agitated ;( They had to do it, sooner or later, that was inevitable. I agree with Sakuya – I would be very sorry for him too. Although all people of the world weren’t so stirred like I thought, that was sad for me. And I was shocked(!) when Dogranio suddenly betrayed Goche by stealing her Collection Pieces! 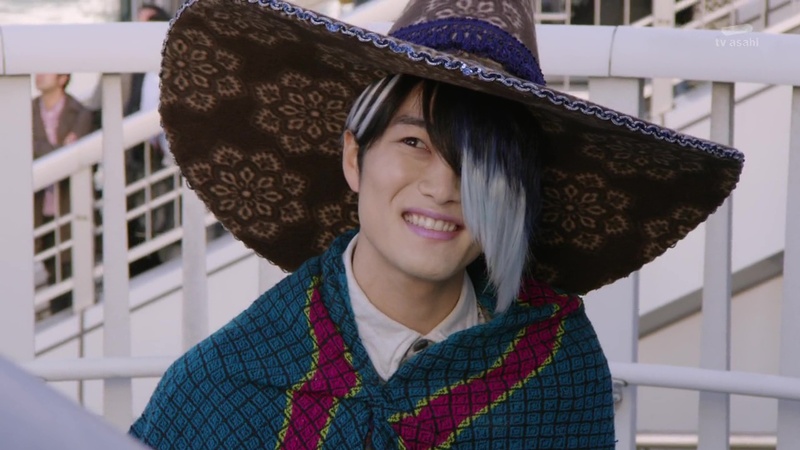 Although I didn’t watch full “Zyuohger”, I read the curiosity about similar situation with Ginis betraying Naria. And what now? What about relationship Umika-Sakuya? First and foremost, yes I have to agree with you on this one. Even though I replay some of the beginning parts every time because it paced too fast, I don’t really quite enjoy it either. I feel like all the ideas just came in with no proper and orderly elaboration. It would be analogical that in writing an essay, you put write ideas with vague description. Its no different than just giving a paper filled with points from brainstorming. The only thing I don’t like in this episode was that even though Pats assisted minorly in giant battle, Lupins don’t really appreciate it. Mark my words, Lupins, don’t underestimate police officers even if they are hurt. It is their duty to fight as long as they can still move. Just a paraphrased quote from Captain Hibiki in Ultraman Dyna Tiga Movie, a soldier’s best weapon is their legs. As long as they can move or speak, you can still fight. FYI the disengagement from Victory LupinKaiser was rather ugly when they had to catch Splash from falling using Magic, in my opinion.